Every time we think to enjoy our leisure time at outdoor we just rummage around to seek some benches! Benches are the most preferred furniture pieces to decide comfortable sitting space at any outdoor! Avail the recyclability of free pallets and get instant wooden benches to add to your outdoors and green spaces! 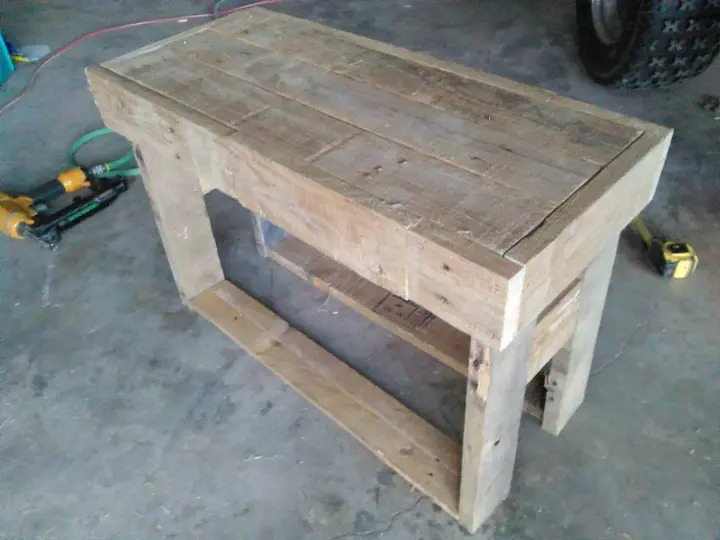 For a creative pallet furniture, you can just examine this newly built DIY pallet wood benches having box like flat wooden legs and would make a comfortable 2 seater to enjoy book reading or daydreaming at outdoor! 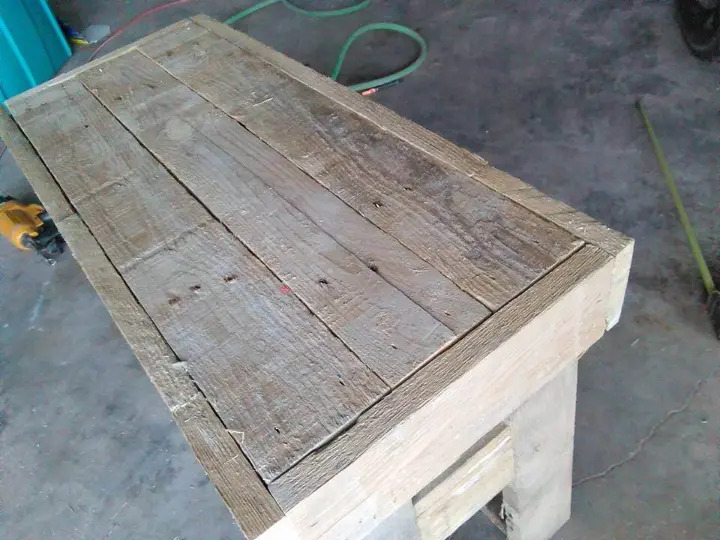 The whole bench layout is composed of straight removed pallet slats got as a result of pallet disassembling! It has been subjected to a throughout sanding and hence final wooden tone after sanding comes with no popped up splinter that can cause injuries! The bench just looks antique in this rustic wooden avatar and can also be painted to get a more glam modern appearance! 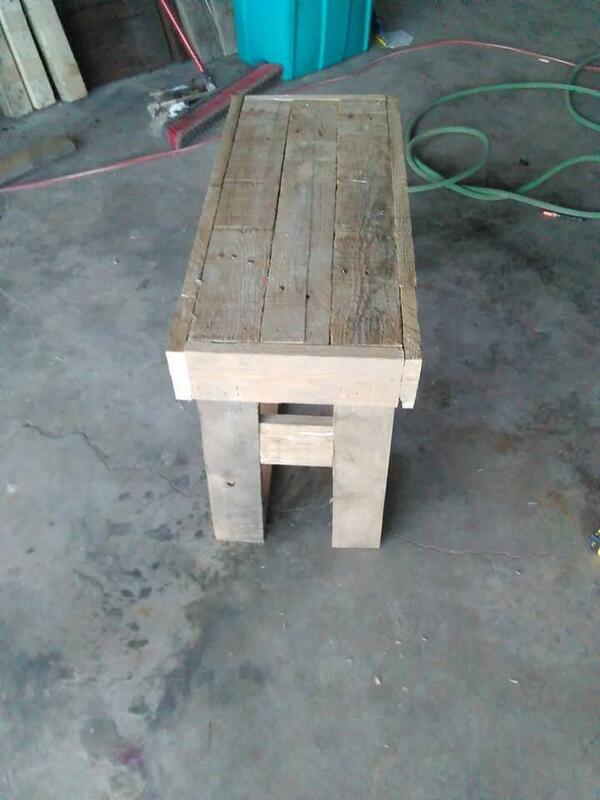 Rustic hue would be friendly to garden greenery so this bench can provide amusing sitting space in your green space! The mini size of it can also be adapted as a mini coffee table if you like to do so! 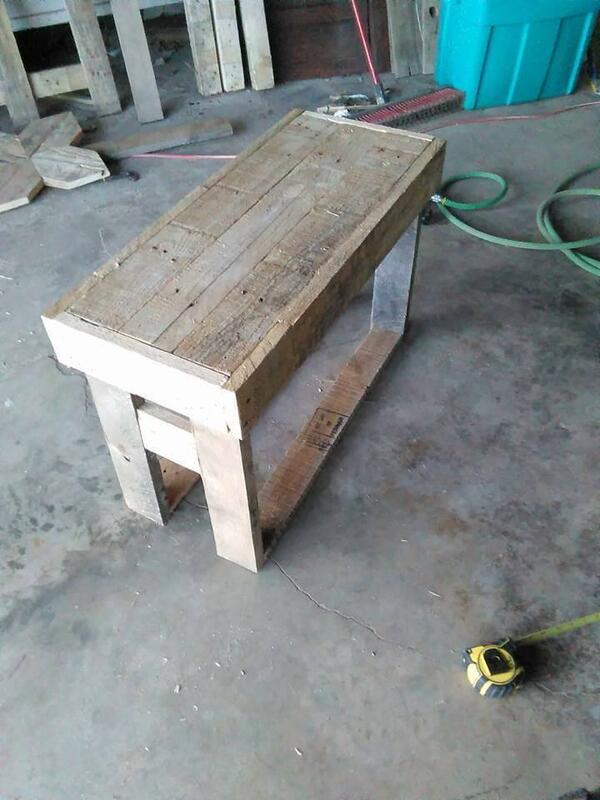 Torn apart pallet straight boards have been selected to build up the whole structure of this bench so their is nothing expensive to find in this projects, this bench would just be all free to grab for outdoor lovers! Top has been made a little thicker through compact packing of pallet slats! The berth section has been trimmed down by additional side trimming hence bench gains a fantastic look! Legs have also been made of pallet slats and has been built in flat box like style! From a unique style of legs, the bench really gains an adorable look!